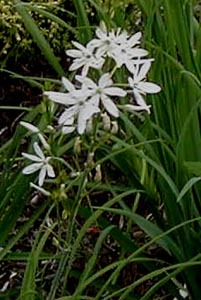 Joy Creek Photo Archive (c) all rights reserved Anthericum liliago bears racemes of small starry white flowers rise out of grassy foliage from late spring to early summer. Late spring to early summer. 2 ft x 6 in.